On Tuesday this week, the Trump administration revealed its 2018 fiscal budget with the Department of Health and Human Services’ Office for Civil Rights (OCR) and Office of the National Coordinator for Health Information Technology (ONC) both facing major cuts to their operational budgets. The ONC faces the largest budget cut, with its $60 million per year cut by 36% for the coming financial year. ONC would need to lose 26 members of staff, with such a large budget cut likely to force the agency to reconsider its priorities. OCR faces a budget cut of 13%, reducing funding from $38 million to $33 million likely requiring the loss of 16 staff. The fiscal 2018 budget is not set in stone and changes are likely to be made before the budget is passed by Congress. However, the Trump administration has previously stated the desire to shave $15.1 billion from the Department of Health and Human Services budget and cuts are therefore inevitable. 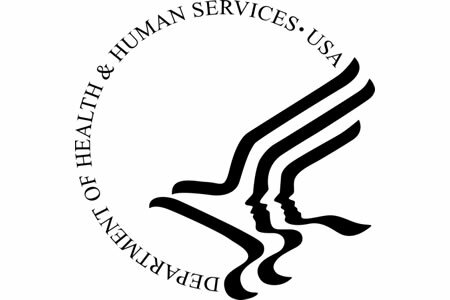 OCR has many roles, although as the main enforcer of HIPAA Rules, those budget cuts could affect the agency’s HIPAA enforcement activities. OCR has long been planning to implement a permanent HIPAA audit program, although those plans may have to be postponed again. The second phase of compliance audits, which finally commenced last fall after numerous delays, could also be threatened. OCR has already conducted desk audits but the on-site audits that were due to take place in the first quarter of 2017 have already been pushed back to the end of the year. Karen DeSalvo said earlier this year that the on-site audits may even be pushed back to 2018. If the budget cuts are approved by Congress, it is possible that those on-site audits of covered entities will be delayed even further or scaled back. Other HIPAA activities are less likely to be affected. OCR is permitted to keep a proportion of the funds collected from its HIPAA enforcement activities which can be used to fund further investigations and enforcement actions. It is unlikely that major cut backs would be made to HIPAA enforcement actions that bring in much needed funds. With less funding, some of OCR’s activities would likely need to be scaled back, with OCR’s civil rights activities likely to be adversely affected by the cut in funding. The new director of the Department of Health and Human Services, Tom Price, issued a statement about the proposed budget saying, it “outlines a clear path toward fiscal responsibility by creating efficiencies that both improve services and save money.” He is likely to have to oversee some major changes to improve the efficiency of his department over the coming months.